Notes from a Jewish Thoreau: On Kapporos: The Baal Shem Tov did it with a chicken, so why do you tell me not to? "The Holy Ari did it with a chicken; the Baal Shem Tov did it with a chicken; the Rebbe did it with a chicken -- and weren't they holy people? So why do you say it is wrong now?" Yes it is true that many of our greatest rabbis and teachers did kapporos with a chicken. But they also treated the chickens with care and respect. They understood that chickens are living beings with feelings. It is said that when the Holy Baal Shem Tov, founder of Hasidism, sharpened his knife, he moistened the stone with his own tears. (Shivchei Ha-Besht) Our religion acknowledges that Eden was vegetarian, and that in an ideal world, this is what we would all be. But this world is not Eden. Eating meat was a necessity in Old Russia and Ukraine in the 1700s. Before the days of year-round fresh veggies flown in from everywhere, being a healthy vegetarian was virtually impossible in northern climates. So the Torah does permit slaughter. But the Baal Shem Tov at least felt deep sadness that something had to die in order for the people to live. Now look around you at the kapporos centers. Is anybody weeping for the deaths of the chickens like the Holy Baal Shem Tov did? Probably not. I have been laughed at and ridiculed by fellow Hasidim for saying that chickens have feelings. One heckler even asked, "Do you really think chickens are smart enough to know what is happening to them?" Yes, I do. Modern research shows that chickens have an intelligence level at least as high as that of a three or four year old child. Think about that next time you see a pre-schooler or bounce your own child on your knee. That child is certainly aware enough to suffer pain, hunger, and fear of death. And so is a chicken. The Baal Shem Tov understood this. His modern followers do not. It happened one day in Sfat, Israel, that Rabbi Isaac Luria, the great kabbalist known as the Holy Ari (Ari-Hakodesh), ordered one of his students to leave him immediately. The student felt terrible. What sin had he committed to deserve this? All that day he wept and prayed to G-d that his sins should not keep him banished from his Rebbe’s presence. 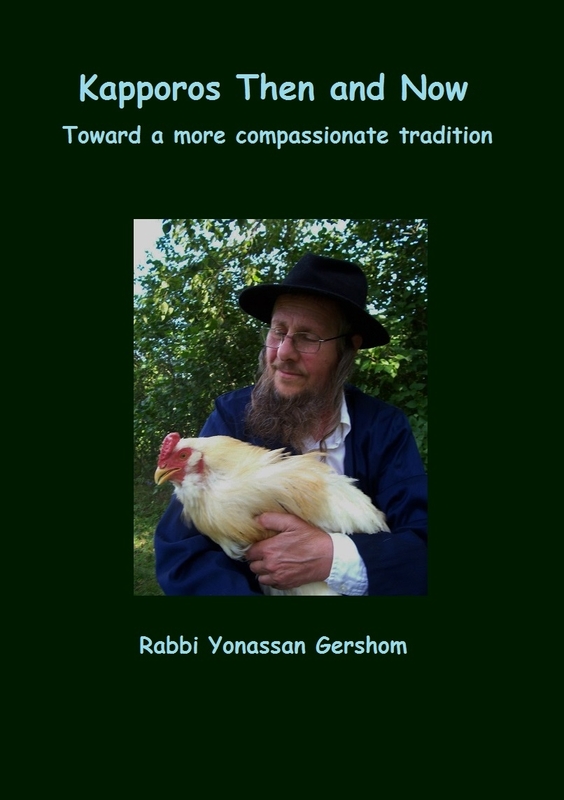 From this we learn how much HaShem our Creator, Who “has compassion for all the creatures,” cares about the suffering of chickens. The student’s sin was tzaar baalei chayyim, cruelty to animals. The cries of those starving chickens were canceling out his Torah learning and banning his prayers from reaching Heaven. Now, stop and listen to the voices of all the hungry, thirsty chickens at the kapporos centers. Those are NOT the sounds of happy birds, they are NOT singing in joy at "helping us do a mitzvah," as some people have been taught to believe. You are hearing the anguished cries that chickens make when they are in fear and pain. Last year (2013) thousands of chickens in New York kapporos centers died of thirst and hunger during a prolonged heat wave. 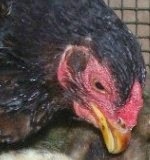 In previous years, chickens that were not sold by the eve of Yom Kippur were abandoned in warehouses. There they spent our most holy day of repentance slowly dying of neglect. Again, recall the story of the Ari and the chickens above. How is this any different? Are those sad cries rising to Heaven and canceling out your Torah and mitzvot, Heaven forbid? Even worse, are they canceling out the prayers of the whole Jewish community? This is a very serious question. We are taught in kabbalah that when we use the things of this world -- mineral, vegetable, or animal -- for serving God, then we elevate the Holy Sparks (netzotzot) within those things and effect a tikkun olam -- a repair of the universe. This is a classic Hasidic teaching, we find it in the writings of all our Rebbes, starting with the Baal Shem Tov himself. But the reverse is also true: If we do not use the material world with holiness and respect, the sparks are not raised, and we drag the world down. Rebbe Nachman of Breslov said that if shechitah (kosher slaughter) is not performed correctly and with the proper kavannah (focused intention), then the sparks are not elevated, and we absorb negativity (klippot) from the life-force of the animal. (See Likutei Moharan #37). Combined with the story of the Ari above, I interpret this to mean not only the actual moment of slaughter must be proper, but also how the chickens are treated beforehand. I am pretty sure that Rebbe Nachman would not have approved of using today's abused, starving chickens. So we must indeed ask ourselves: Is the mistreatment of chickens at today's kapporos centers elevating sparks, or is it blocking our prayers from reaching Heaven? So: Would the Baal Shem Tov be able to enter today's kapporos centers? Or would his entry be blocked by dead prayers that do not rise upward to Heaven? Today we have hardened our hearts to the suffering of God’s creatures. Kapporos chickens are crammed into small cages, shipped for miles in open trucks, stacked for days in hot warehouses without any food or water, then handled roughly like cheap merchandise. People stand around gossiping, while they carelessly hold the chickens by the wings as if they were nothing but shopping bags. Dangling them this way is very painful for the bird, and can result in torn muscles and ligaments in the wings, because a chicken's wings are not strong enough to support its body weight. Such cruelty does not elevate the Holy Sparks! It drags us down into sin. You cannot commit a sin to do a mitzvah! Or a minhag, for that matter. Any validity the ceremony might have had in the past is canceled out by the cruelty to the chickens in modern times. Precisely because of how the chickens are transported and sold nowadays, many rabbis recommend using money instead. In addition, there is the issue of waste. In the past, people often gave their kapporos chicken to a poor family as tsedakah (charity). This charity was part of the kapporos ritual, it completed the tikkun. "Repentence, prayer, and charity avert the evil decree." But today, the chickens often end up in the garbage. The reasons often given is that there is no time to kasher them properly, or that they were somehow injured or damaged and not kosher to begin with. Think about that. In the past, families would take their slaughtered chickens home, to pluck and kasher them for the pre-Yom Kippur meal. But in this day of shrink-wrapped meats, few people do that themselves anymore. So the chickens are simply tossed into garbage cans. That violates the prohibition against needlessly wasting something (bal tashchit). Last year, under several news articles about how these chickens were ending up in the city dump, there were numerous comments asking: "Why didn't they give them to the homeless shelters? Or the local soup lines?" Such blatant waste of food while people go hungry is a shanda, a public disgrace that reflects badly on the Jewish people. Here there are people going hungry, and we throw the chickens in the dump? Where is the holiness in that? cage, waiting to be used for kapporos. Even in the days of the sacrifices in the Holy Temple, the meat was never just thrown away. On the contrary. It was holy, and had to be eaten as a sacred meal in a place that was ritually purified. And because the sacrifices had to be perfect specimens without any blemishes, the animals were no doubt treated very well before the sacrifice -- not like the factory-farmed, miserable, starving kapporos chickens of today. As our Sages teach us, the world is like a set of scales. Every good deed tips the world to the side of good, and every sin tips it to the side of evil, heaven forbid. Is the cruelty in today's kapporos centers canceling out our prayers on Yom Kippur? Is it adding to the burden of sin in the world? Again, these are serious questions. Giving money to charity instead of using a chicken eliminates all these questions of cruelty and kashrut. You can avoid absorbing negative klippah energy into your life and that of your family. 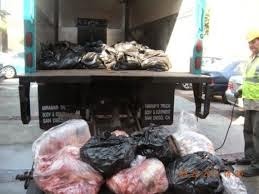 You can be sure that the monetary value of the chicken really is going to the poor and not to the city dump. You can be more certain that your prayers are not being blocked from rising to Heaven. You can be sure you are making a real tikkun -- the act of charity that averts the evil decree -- and not contributing to the burden of sin in the world. For all these reasons, I feel it is time for us to stop using chickens for kapporos and give money instead. May you have an easy fast, and may you be sealed for a good new year! I have written a condensed one-page printable version of this article, suitable for a flyer or small poster. Download the PDF here. Feel free to print and hand it out, adding your own local contact info at the bottom. See also: Kapporos Chickens don't Sing! 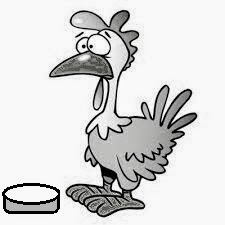 -- my 2013 article on the misconceptions about chickens that you may hear at kapporos centers, etc. To learn more about this issue, get my new book, just out on June 4: Kapporos Then and Now: Toward a More Compassionate Tradition available on Lulu.com. Neither a vegetarian manifesto nor a "Torah-True" religious tract, I approach the issue as a combination of theologian, cultural anthropologist, and participatory journalist, offering numerous reasons why using money is a better option today -- but also critiquing both sides for both their strong and weak points. WARNING: Whether you are for or against using chickens as Kapporos, this book requires an open mind to read. Very interesting and I don't disagree. I am not Jewish. I am not Vegan or Vegetarian. Why not use fresh loaves of bread (not Matza). Bread absorbs everything, why not sins? The loaf can then be burned like an animal. Seems a better way. Matthew: Everyone dies eventually, and there are a lot of other factors besides diet, so health is not really the reason I am a vegetarian. As I explained in the article. I believe there are spirituality issues that I, as a Hasid, have to take into consideration. Not only for Kapporos, but for kosher meat in general, it is not what it used to be. The crates of miserable chickens we see once a year at kapporos centers is how chickens are shipped and handled year round in the meat industry. This is a far cry from the free-range chickens my ancestors used. Ditto for the way other animals are raised today. I deplore the cruelty inherent in the factory farm industry. And I seriously believe that this cruelty taints the spiritual "energy" of the meat and brings the people down. It may well be that the callousness we often see at the kapporos centers is due to this negative energy. This is not an argument the vegans will accept, because it does not condemn all slaughter. In fact, the Alliance to End Chickens as Kapporos (AECAK) has refused to link to this and several other essays on my blog for this reason, and I've had some very heated discussions behind the scenes. They do not seem to "get it" that this argument holds MORE WEIGHT in the Hasidic community than the "meat is murder" argument. So, although the protests do serve a purpose in terms of publicity, they are just preaching to the choir. It remains for people within the Orthodox community itself to do the real education. Regarding the use of bread, that would be a possibility. There was once a tradition of using a potted plant (cited by Rashi in the 9th century). 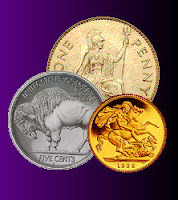 The usual substitute today is to use money and then give it to charity, as I pointed out. I use money because it is not wasteful and I know it will go to help the poor instead of into the city dump. Rabbi Shea Hecht, a Chabad Hasid who has spearheaded the revival of this custom with chickens, has ridiculed this idea as "waving a piece of tofu." For him, the killing of something is the essence of the ceremony. for me, it is the atonement through giving charity. I found your site via your amazon comment on Hassidic Tales of the Holocaust. This is a very beautiful article on kaparot. The first time i ever did kaparot was when i was at ohr samayach in jerusalem. we went to machane yehuda where a chochet killed the chicken. some of the blood splattered on me and it haunted me for the entire 24 hours of yom kippur prayers the next day! are you familiar with Temple Grandin at CSU who has pioneered animal cruelty abatement techniques at kosher slaughterhouses? Menachem: I am not a Messianic, and I consider it a heresy. You cannot be both a Jew and a Christian even if the cult leaders tell you that. I do not wish to engage in this debate. Been there, done that MANY times in my 67 years of life. 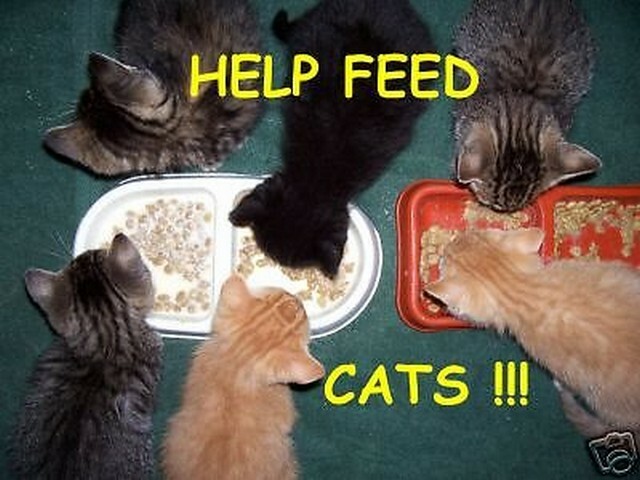 This is not the purpose of this blog. There are plenty of other sites where you can go play "dueling Bibles" but NOT HERE. For this reason, I deleted your secnd post because it was nothing but an attempt to convert Jews. But I will say this: There is no place in Judaism for human sacrifice, which is, in my opinion, what Jesus on the Cross is. The idea is totally pagan. The story of Abraham tells us that God DOES NOT WANT us to kill our sons as sacrifices. Therefore it is totally illogical for God to turn around and sacrifice his own Son. Yes, I am familiar with Temple Grandin. Menachem: Regarding eating on Yom Kippur, there are times when this is not only permitted but required. My own wife eats on Yom Kippur because she is diabetic. To fast for 25 hours would be life-threatening for her. Ditto for other cases where a total fast would be detrimental to one's health -- such as refusing to take essential medicines, etc. In fact, if one is ill and a doctor says you must eat, but then you refuse to eat and die, that is counted as a suicide. There is no merit no killing yourself on Yom Kippur. I am not able to watch the videos you refer to from home here, since I am in a rural area beyond the pale of high-speed internet, and have only a dialup connection. That is too slow for YouTube. I will check them out next time I am in town at a hotspot. "Context is everything in these questions, each case must be judged separately. Regarding the Lubavitcher Rebbe, I would want to know IF he said it, WHY he said it, to WHOM he said it, and in WHAT CONTEXT he said it, etc. (I am not a Lubavitcher, BTW.)" This is indeed the essential question. I don't remember what I wrote that you deleted. Yonassan Gershom: Did you know I used to be a Na Nach Chassid? I lived in Jerusalem and Tzfat and was very close the rabbi Odesser, the famous Saba! I think your writings are excellent and I have shared them with many of my friends, both Jewish and Christian. Is there an email way to communicate with you? I will be writing to her about your blog! Menachem: The "context" ref was about your mentioning of the Lubavitcher Rebbe saying "people" were eating on Yom Kippur. RE: email, I'm NOT interested in doing the Jewish-Christian debate thing and I sense you are trying to drag me into that. I purposely do not have my email linked here to avoid getting spammed. I am an autsitic person who likes to write but not do chit-chat. Which is why I rarely go to Facebook, either. That and, being stuck on a rural dial=up connection way out here, it is tedious to check email every day. And this is also why I won't be able to check out the links you sent until I go into town where there is wifi. Which won't be for at least a week. And when I do go, I have limited time so again, not interested in the JC debate. I also wanted to ask you going back to the kapparot business. Don't you think that eating chickens is at least as grave a problem as using them for kapparot. Jewish people eat chicken all year round. Is it right to consume animals that have essentially been abused and then tortured to death? Do you write about this? This seems to me much worse than the one day kapparot problem you discuss here. Like a bunch of cannibals eating human cholent for shabbat. RE: chickens, I am a VEGETARIAN -- a fact stated repeatedly on this blog ---- which ought to give you some clue about my opinions on eating meat. This blog has an INDEX -- go to the homepage, scroll down a ways to find the alphabetical listing of all tags on the right sidebar. There you can zero in on all my topics. Better than making me reinvent the wheel here. Peace. I learned only recently that Shea Hecht is largely responsible for bringing this abominable custom back from the brink of extinction. Gives me one more reason to dislike Chabad. I agree with you completely about vegetarianism and the treatment of the animals during this annual festival of avian gymnastics, but I disagree about the purported spirituality of the rabbis of generations past. This practice is superstitious nonsense that crept into Judaism from outside sources. In addition to being cruel, it's an embarrassment; it violates the prohibition against making all of us look like damn fools in front of "the nations". The Rambam and Joseph Caro are supposed to be two of our most important authorities, and we have to obey them in all things - until they tell us not to swing chickens over our heads. Then, in mitten drinnen, they don't know what they're talking about. As my Lubavitcher nephew told me, "We don't hold by the Bais Yoseph, we hold by the Rema!" Right. How convenient. 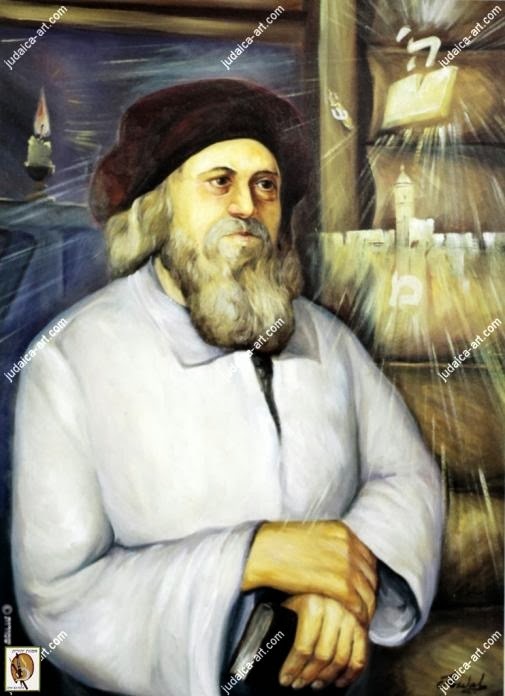 The Rambam, by the way, advocated using sprouted legumes, if one insisted upon using a living organism - but try telling that to the black hats. Ironically, there is a statement directly below this box as I'm typing: "Please prove you're not a robot." How many Haredim could comply? cipher: Yes, Shea Hecht is mostly responsible for reviving this practice. In one of his interviews he was quoted as referring disparagingly to "some rabbi who wanted to make a name for himself" over this issue -- apparently a jab at me. I already have a name for myself as an author, so that was silly -- but the fact is, I never heard of HIM until this kapporos stuff. So the pot calls the kettle black LOL! BTW, I think you misunderstood my statement about rabbis of the past being more in tune with animals. I agree that this particular ceremony is something alien that crept in. As Richard Schwartz and I covered in our much-cited essay The Custom of Kapporos in the Jewish Tradition on the JVNA website. So no need to repeat that here. However, there is also the greater issue of raising animals and slaughter in general, which is permitted by the Torah -- and which, for that reason, causes certain vegan activists to condemn all of Judaism as barbaric. This is indeed the stance of Karen Davis, the animal rights activist who gets all the news coverage on this issue lately. I've had numerous conversations with Davis over the past couple years and she takes a stance that anyone willing to slaughter and eat animals has no compassion, period, no matter how humanely it is done. In her philosophy, meat is murder and compassion=no slaughter=vegan. In this way she de facto writes off all of Judaism as barbaric and primitive because the torah permits eating meat. (She is not Jewish, BTW). She refuses to use most of my materials -- including most of the essays on this blog -- because they are not 100% vegan. So this is what I was trying to counter with this article. Davis has become the media focus for the anti-kapporos movement, but I believe her all-or-nothing stance is counterproductive in actually trying to convince real Hasidim, and have told her so. I did work with her Alliance to End Chickens as Kapporos in the past, and even helped produce some materials for them, but behind the scenes it has been a rocky relationship. This year it reached such an impasse that I have now distanced myself from them and am approaching this from within the worldview of Hasidism, not veganism. Hence this article which is written from within the Hasidic tradition -- and which, judging from emails I have received so far, is more effective than preaching to the vegan choir. I do believe that in past centuries, when Jews actually had interaction with animals, there was more humanness in how they were raised and slaughtered. There are many, many stories of past sages showing compassion for animals -- the Good Shepherd was a Jewish motif long before it was adopted by Christians. In fact, our tradition says that God chose Moses precisely because of the way in which he cared for his sheep as a shepherd. King David was also a shepherd, as was Rabbi Akiva before he became a scholar. They were not vegetarians but they did understand that animals are living things. So I do believe the Baal Shem Tov really did shed tears when he had to shecht. But in modern times, few if any Jews have any interaction with the animals they eat, nor do most of us know the shochet or personally examine his knife first (as the Baal Shem Tov and his followers did.) We have passed the buck to the commercial meat industry, which is abominable in the way it raises and treats animals. The stacks of crates you see at Hecht's kapporos centers are the way chickens are normally shipped nowadays. In fact, the one good thing that might come out of these public kapporos events is for people to see how chickens are routinely treated at factory farms and processing plants. BTW, I think you misunderstood my statement about rabbis of the past being more in tune with animals. I agree that this particular ceremony is something alien that crept in. I understood, and I know you're aware of that. I said it poorly. What I meant is that I don't have much regard for anyone performing this ritual, whether or not they treat the animal kindly beforehand. Someone told me the other day that Hecht brought it back largely for monetary reasons. I gather there's a considerable markup. For the record, I was not "hired" nor was I paid anything, and I advocate using money, not tofu. (yes, I do realize he was being sarcastic.) Read the whole article -- is is quite informative and reasonably balanced. And the reporter even cites my blog! Also note the way Hecht is holding the chicken in the phot -- he claims this is "painless" but it is not. cipher: I'm not going to get into the "monetary reasons thing." There is such a claim going around -- it has been cited on a rather antisemitic supremicist site in the name of Karen Davis (who probably did not know who these guys were when she talked to them, the name of their pub is deceivingly innocuous). It is true some shuls charge $18 or $36 but those are pretty normal amounts for Jewish fundraisers. Of course, it would be better if they just gave the money and skipped the chicken killing. As a lot of people are already doing. Yeah, I saw that article when it came out. Hecht's remarks confirm me in my vehement dislike of Chabad. No one does condescension like the frum. If you have Hasidim reading this blog, we probably shouldn't talk about it. They'll read my comments and dismiss you. I have nothing good to say about that world. And yes, I realize Davis is not going to make any converts among them. I still give her a donation each year. This year, I wanted to make it in my nephew's name and have notification sent to him, but they don't have that function on their website. cipher: I'm not really worried about Hasidim "dismissing" me over a blog discussion. If they do, they do. RE: condescension, it is not only the frum who do this. I am routinely dismissed by secular Jews who do not like my pacifism or criticsms of Israel. They are often worse than the frum on that issue. So "dismissal" is a disease that knows no doctrinal boundaries. But the fact that Hecht felt he had to dismiss me -- albeit indirectly. but whom else could he be referring to? -- shows I'm making an impact. And I AM right about his method of holding chickens. And yes, I did see the article about kapporos in a nursery. I routinely read that site also. The site owner has his own agendas but he does cover things that are ignored by the mainstream media. RE: Karen Davis, she does have an impact in the media, and the protests do have their place. She only screws up when she gets into theology, because this is not her field, so misreads things and, unfortunately, makes statements that are counter-productive. Re rabbi Akiva: he may have been a shepherd, but he was no peacenik or humanitarian. Even the OU now admits that he deliberately incited the Bar Kochba revolt against Rome and proclaimed him a false messiah. Lag BeOmer is all about the officers of BK's army who were slaughtered by the Romans. Akiva had been a favored personality in Rome, and even married the former Roman Empress. When he turned BK loose, the Romans viewed this as utter betrayal and murdered Akiva and persecuted Jewish religious practices. I believe Akiva was one of the most evil men in Jewish history, the Jewish Osama bin Laden of his day! Even the Talmud admits how much Akiva hated rabbis during his time as a shepherd. Son of an alleged Roman convert to Judaism, Akiva embodied arrogance and hate of the most extreme and malicious kind. He also spearheaded the rabbinical opposition to the early Jewish followers of Yeshua. I saw your blog profile about how you hate Christian fundamentalists. Just curious, what kind of spirituality do you recommend and practice yourself? Menachem: I'm not going to get into a bunch of political history here. My point about shepherds was not that they were all peaceniks (they were not) but rather that they were familiar with animals on a daily basis. Even in pre-Holocaust Europe Hasidim were living in small villages where animals were common. (I've been to Uman, Ukraine where Rebbe Nachman's grave is, and it is still very rural. Check out my video about Jews and nature for some still of Uman included.) Animals back then were not raised on factory farms. 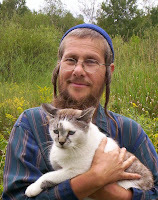 Today's Hasidim are so urbanized they are totally disconnected with animals or nature in general. That plus the industrialization of meat means, to me, that spars are no longer being raised. As for Akiva hating rabbis when he was a shepherd, such anti-intellectualism is not unusual among uneducated people. I still find it today. Especially among certain kinds of Christians. If they can't argue with my scholarship, they begin to throw epithets at me. I never have understood how they can think that insulting me would change my mind, but it happens a lot. Go figure. Got allergies? Don't blame the goldenrod!